If you have children, their well-being will be the most important decision to consider in the aftermath of a separation. The focus is the children’s best interests. Parents are parents forever. Siblings are siblings forever. 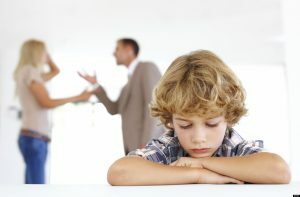 In determining family law issues and process, parents navigate their children’s first 20-25 years after separation. Grandparents recently received recognition in the Children’s Law Reform Act, s 21: A parent of a child or any other person, including a grandparent, may apply to a court for an order respecting custody of or access to the child or determining any aspect of the incidents of custody of the child. The test for custody and access decisions is always the best interests of the children. Grandparents in particular will need to demonstrate their established bond with the child(ren) and that the relationship has been harmed by the parent without good reason. Joanne is accredited by New Ways for Families -- the child custody and parenting dispute program which focusses on skills in its communication coaching program. The BIFF Response is a great tool as it transforms hostile and angry communication into a business-like conversation. Communications should be Brief, Informative, Friendly and Firm.